Are there still opportunities for expansion in vehicle wrapping? Although vehicle wrapping has been a popular expansion sector for some time now, the high number of companies moving into this sector has made it much more competitive. Rob Fletcher finds out if there are still growth opportunities in this market. Perhaps the main reasons for the amount of companies diversifying into vehicle wrapping is the amount of work on offer in this sector, and the various forms that it comes in. From run-of-the-mill jobs for self-employed people advertising a business on the side of their vans, to gigantic wraps for trains, planes and ships, there is certainly a wide range of work to consider. But with this availability of work comes the issue of competition; the more work on offer, the more companies that will look to take it on. Vehicle wrapping has seen tremendous growth in recent years, both in terms of the amount of work on offer and the number of companies moving into the market to take advantage of this trend. So, the key question for companies thinking about moving into this sector is that are there still opportunities for growth. Similarly, for those already active in this market, what can they do to ensure they keep hold of customers amid mounting competition? As many suppliers and manufacturers will attest, one of the most effective ways of making sure your business stands out is by investing in the best technology and materials to ensure your work is at its highest quality. Avery Dennison is one such company that takes this point of view, as it stocks a wide range of films and wrapping products to support those firms working in this area of the industry. Esra Boro, product segment manager for Wrapping EMEA at Avery Dennison Label and Graphic Materials Europe, believes that there are still plenty of opportunities for companies in the market, but it is critical for them to ensure they are using the rights materials when taking on new work. “The vehicle wrapping market is quite dynamic and ever changing,” Boro said. “Customers are looking to be both unique and cool, and wrapping is the perfect opportunity to help in this. As demand goes on, we see the industry is growing and getting busier. With this in mind, Boro draws attention to some of the latest products available from Avery Dennison that can help companies move ahead of the competition in the market. Such solutions include six new colours of Supreme Wrapping Film, which were introduced in October and have attracted “very positive feedback” from customers, according to Boro. In addition, those in attendance at FESPA 2018 earlier this year will have seen AD SPF-XI, the new self-healing paint protection film from Avery Dennison on the company’s stand. This is a high end paint protection film healing at ambient temperature. On top of these new products, Avery Dennison has introduced a complete range of Automotive Window Films in three product groups: high performance, non-reflective and infrared. Boro said: “With addition of paint protection and window film, Avery Dennison is now offering a full solution for aftermarket customisation needs and applications. Another company able to support those considering a move into the vehicle wrap sector is Grafityp, which boasts one of the most expansive ranges of films in the industry. Bruno Vanoppen from the marketing department at Grafityp believes there are still opportunities for growth in this sector, if the company in question is able to suggest the right ideas to their customers. Caption: Grafityp outlines two clear markets in the vehicle wrapping sector: publicity on company vehicles and partial and full wraps of personal vehicles. Vanoppen goes on to explain that vehicle wrapping consists of two separate markets. The first of these is publicity on company vehicles, usually in the form of print vinyl as a full wrap or in combination with a coloured cutting vinyl. Grafityp is also committed to the profitable market of partial and full wraps of personal vehicles. Here, Vanoppen puts forward the company’s cast GrafiWrap vinyls, which he said vinyls offer the possibility to personalize any vehicle. Delving deeper into the Grafityp portfolio, Vanoppen picks out some of the latest offerings from the company. These include Grafiprint AE38C, a cast print film with air escape technology that is easy to apply, offers good slideability and is repositionable. But what is it that Vanoppen believes makes Grafityp products stand out among other solutions? He said: “The wrapping vinyls that Grafityp are offering are all manufactured in-house. We have more than 20 years of expertise in developing and manufacturing cast vinyls. One of the key messages from this sector is that there is a real commitment to developing new products to help companies with their work and allow them to explore new opportunities in vehicle wrapping. 3M recently demonstrated this with an update to its range of IJ180mC print wrap films, in response to a growing demand for 3D-conformable print films. The firm undertook additional testing of its IJ180mC films, concluding that all films in the range are now 3D. Caption: 3M recently concluded that all of its IJ180mC films are now classed as 3D. Outlining the testing process, 3M went on to say that the IJ180mC-10, IJ180mC-114 and IJ180mC-120 print wrap films all have 130 per cent film stretch, which it said allows them to “conform to recesses, curved surfaces, corrugations and rivets without snapping back”. Expanding on this, 3M noted that – importantly for those seeking materials to take on challenging jobs in this market – all of its cast vinyl films have their own unique properties. The company says this gives customers “3D-conformable options for every preference, style and application”. 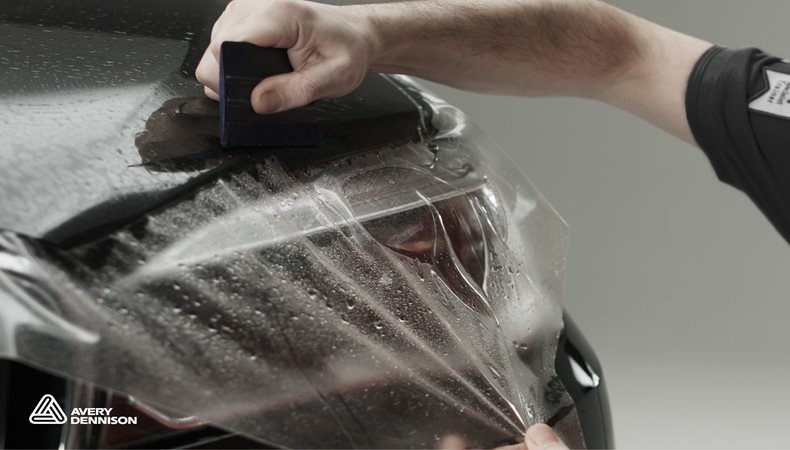 3M went on to give the example of its IJ180mC-114 solution, which is a printable transparent wrapping film that allows users to create subtle designs that “let the vehicle colour shine through”. Meanwhile, IJ180mC-120 is a printable metallic wrap film that offers a shiny effect for an “edgier look”, according to 3M. The message here is seemingly clear; there are still plenty of opportunities for companies to expand into the vehicle wrapping market and access new work. It is a popular sector for diversification and lots of businesses have already made the move as a result. However, by identifying niche areas where you can make a difference and taking advantage of new, exciting products on the market, you can access a wide range of work in this market and grow your business as a result.